Our first exposure to the name Muziris was during the planing stages of the 1st edition of the eponymous Kochi-Muziris Biennale in 2012. 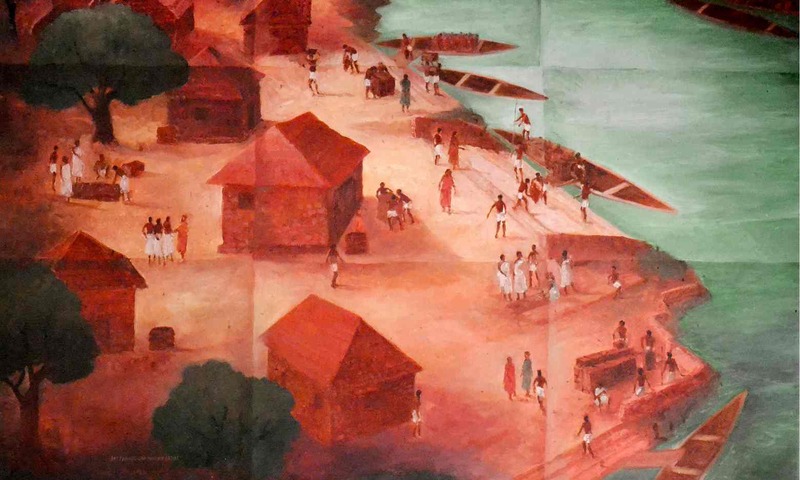 The flurry of activity in Fort Kochi not only brought Kochi into the spotlight of the international Art World, but added focus to the archeological works at Kerala’s ancient port. Lost cities #3 – Muziris: did black pepper cause the demise of India’s ancient port? Another poem speaks of Muziris (also known as Muciripattanam or Muciri) as “the city where liquor abounds”, which “bestows wealth to its visitors indiscriminately” with “gold deliveries, carried by the ocean-going ships and brought to the river bank by local boats”. The Roman author Pliny, in his Natural History, called Muziris “the first emporium of India”. The city appears prominently on the Tabula Peutingeriana, a fifth-century map of the world as seen from Rome. But from thereon, the story of this great Indian port becomes hazy. As reports of its location grow more sporadic, it literally drops off the map. In modern-day India, Muziris was much more of a legend than a real city – until archaeological excavations in the southern state of Kerala, starting in 2004, sparked reports of a mysterious lost port. Though the archaeologists cannot be certain, they – and, with some exceptions, historians too – now believe they have located the site of Muziris. In the other direction, ships arrived with gold, coral, fine glassware, amphorae of wine, olive oil and the fermented fish sauce called garum. But the value of this trade was lopsided: De Romanis says Pliny the Elder estimated Rome’s annual deficit caused by imbalanced trade with India at 50m sesterces (500,000 gold coins of a little less than eight grammes), with “Muziris representing the lion’s share of it”. Maritime trade between Muziris and Rome started in the first century BC, when it became known that sailing through the Red Sea to the horn of Africa, then due east along the 12th latitude, led to the Kerala coast. “Muziris was entirely dependent on foreign, especially Roman, demand for pepper,” De Romanis says. So when the Roman empire’s economy began to struggle in the third century AD, he believes the trade in pepper reconfigured itself, and Muziris lost its importance. Read more the entire Guardian article here.